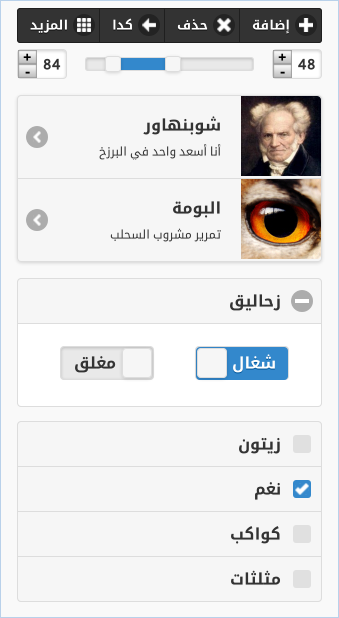 To make jQuery Mobile work on right-to-left layouts like Arabic, Persian, Urdu and Hebrew websites you have to change some stuff in CSS and update a few lines in JS code to make sliders/flip switches work properly and change some hard-coded values. I made these changes and uploaded them here for anyone to use. If you found a bug or an unexpected behavior please try using the non-minified JS and CSS files first, if it is not fixed please try using the original official jQuery Mobile JS file, if it is not fixed it means it is a bug in the official release not in the RTL version, otherwise please contact me (Facebook (recommended) I check the 'Other' folder ;) OR email moutaz at intlaqa dot com).